As we are in the process of decorating Minxy's and Jamster's bedrooms we've been on the look out for new furniture, beds and accessories to get some inspiration. I'm fairly clueless when it comes to things like design, I could certainly do with all the help I can get, and although the Mr is a handy man at heart he doesn't have an eye for interiors either! I thought it would therefore be the best option to ask the Mini Mes exactly what they want and to just go with that. After all, I know how excited they are about having a more attractive space of their own and it makes them feel involved with the transformations. Jamster is after a modern skater theme with cool graffiti style artwork whereas Minxy is seeking a more feminine and classic look with floral designs, floaty drapes and big fluffy cushions. Regardless of the style, we definitely need more storage for their belongings and Minene stepped in to help in that department. They sent us some pretty baskets to kick-start our projects and these have already been very useful. The smaller of the two is ideal for placing upon a table top or windowsill to store essentials like hair brushes, remote controls, DVDs, books, lip gloss etc for easy access, whereas the larger one can be used for laundry, bedding, toys or games. The strong handles make both easy to transport as and when required and Minxy loves the quilted look with flowers on the outside and the red polka dots inside for a nice contrast. As a mum, I really appreciate the fact that these are machine washable so they can be kept clean at all times! 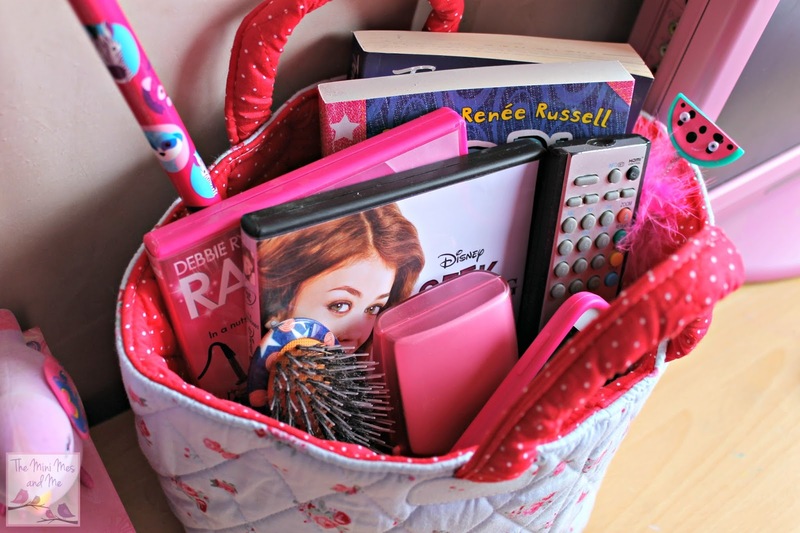 If her friends are on the way over we can quickly scoop up anything laying around her room and throw it in to hide away which is useful, although thankfully she is naturally quite tidy. There are matching boxes and cubes available so I think we might need to add those to our collection once her room is complete. It's possible I will purchase the same in a different print for Jamster - he particularly likes the stars and grey chevron versions. Minene also have a great range of clothing, feeding equipment and gifts on the website and they have kindly provided some baby items to give away to my followers! For your chance to WIN 1 of 6 Luxury Newborn Gift Boxes, in either pink, blue or neutral, you can enter via the Gleam entry form below. The giveaway ends at 11.59pm GMT on 30th April 2016. In baskets and we have a Minene one too! In a childrens size wardrobe! Noah has a wardrobe and matching chest of drawers in his bedroom. I could do with sorting it all though, it's so un organised! In a wardrobe and chest of drawers. We have lots of under bed storage plastic boxes, each labeled with the size clothing in them. In my daughters wardrobe we have square plastic boxes each with similar toys in, so music toys in one, Duplo in another etc. This way she has one box of toys out at a time, and we get a different box out each day, so she doesn't get bored. With 3 kids we have clothes and toys everywhere!!! I try to get the kids clothes in the right drawer but I have been known to put stuff in the wrong place - Toys are just piled up in the corner of the living room which always looks really untidy! Soft toys are in large hammocks, other toys are in an ottoman, clothes are in draws and a wardrobe. Clothes are in her wardrobe and chest of drawers, toys are in random storage boxes and buckets, would love a more uniform look, we'll get there eventually. We have all sorts of things to keep their stuff tidy including a wicker chest, various plastic bins, a modular shelving unit and wardrobe tidies. Wow I'd love a neutral one please! A wardrobe with drawers underneath. we have the ikea trofast unit with drawers! Clothes in the wardrobe...or a basket depends how busy I am lol, toys are in an ikea unit with draws - godsend! Two pop together toy chests at the moment. One for clothes, the other for toys. in a chest of drawers. I luckily have quite a lot of storage in my house. We have refular drawrs, wardrobes and lots of Ikea storage containers. A chest of drawers and cardboard boxes! We have a small wicker basket but will need to upgrade this situation soon! in a big walk in wardrobe neatly and organised. Combination of drawers, baskets and shelves. And a few scattered on the floor! In 2 little wardrobes with draws on the bottom ! In storage boxes and a wardrobe. 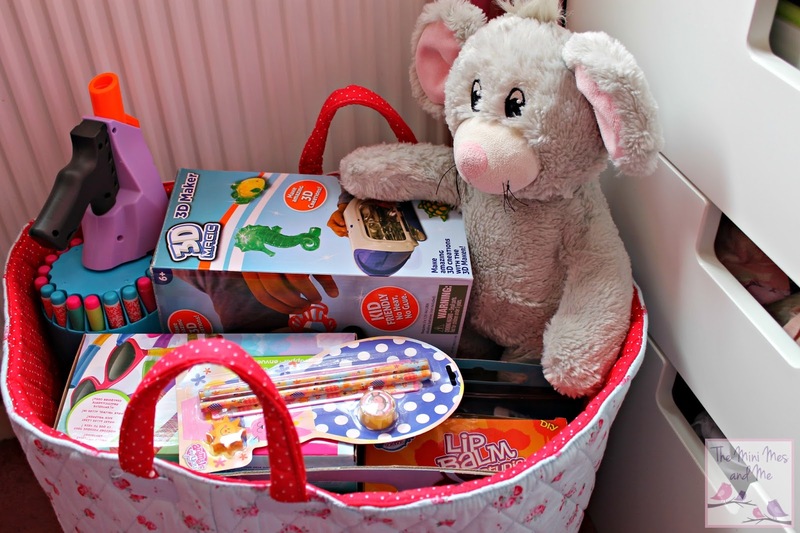 I store toys in rustic wicker baskets - fab giveaway! In a chest of drawers and plastic boxes. Thanks for the lovely giveaway. I've got some collapsible, lidded boxes for all the toys, but somehow they still end up all over the floor! 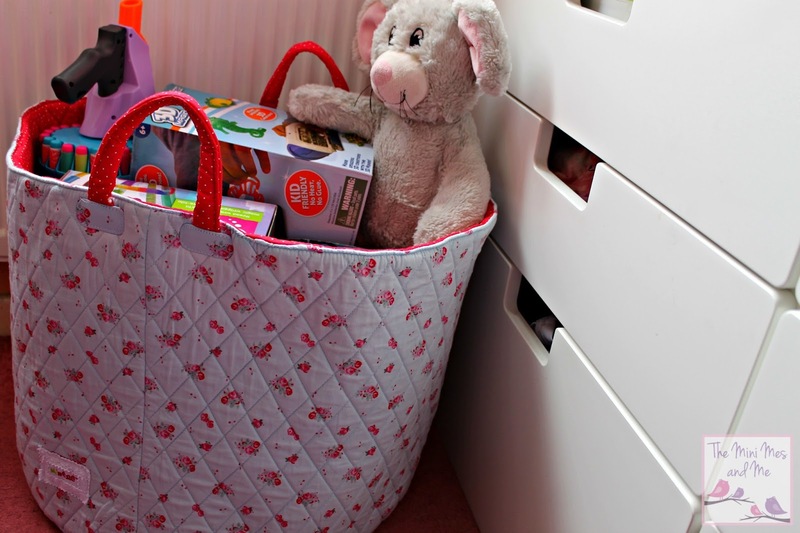 In baskets, an Ikea unit and there's a fair few thrown into corners too which I try not to see! I have once toy box which double as a seat when lid is on but it is overflowing! Large toyboxes, and clothes are in wardrobes. The toys don't always stay in the boxes though...! 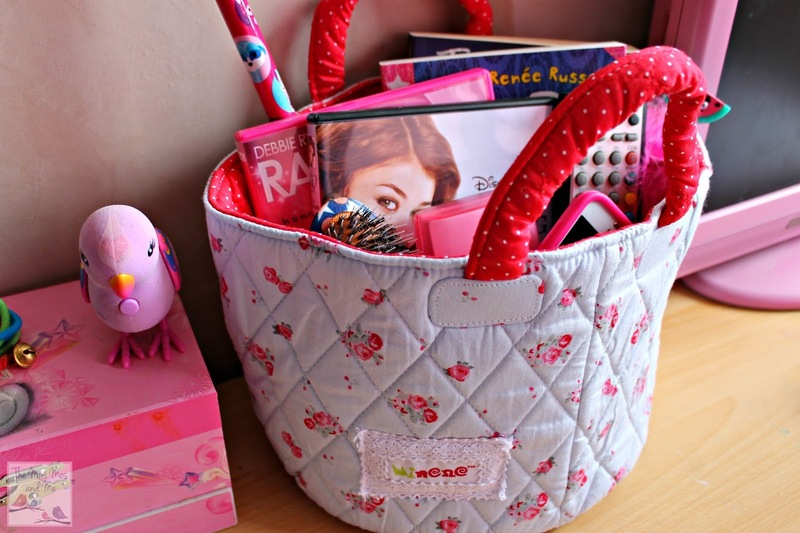 Lots of pretty floral baskets in a large painted wardrobe and plastic trugs for toys! We have set's of plastic drawers. Clothes are stored in wardrobes and chests of drawers but toys I usually buy giant plastic tubs and crates for! In a toy box and a chest of drawers. We don't have any children at present but the first is on its way ! My older ones clothes are in their own wardrobe, the babies are in one of ours. My wife has lots of those large plastic tubes from Ikea to put babies clothes in. In their wardrobes and storage boxes. Lots of hangers and little baskets! everywhere, we have bags, boxes and baskets and I hate it! our house is tiny and nothing seems to fit! I have a cute storage unit for toys/general stuff and clothes are kept in a wardrobe and chest of drawers. I store them in a small chest of draws or my daughters baby wardrobe. A big old plastic box and a chest of drawers. baskets, tubs and toy chests! Keep them in the wardrobe! In a wardrobe and drawers. I personally prefer hard case storage boxes instead of soft bags. Although I would have to agree that it makes a good idea for a kids room, especially when the likelihood of the container getting dirty is very, very high! Haha! A cloth container would be so much easier to throw into the wash don't you think!